Have you visited the blog for Salmon Brook Farms, home of Lavinia and Rick Ross? They grow grapes, flowers, fruit, berries, vegetables and other produce. Their Subaru, Seabisquit, has driven nearly 435, 000 miles. They are musicians who encourage their readers to support other local musicians. I follow their blog, primarily maintained by Lavinia, and email back and forth with her, but realized recently that I knew little about her as a musician and writer. So I listened to her CD. Lavinia sings folk music and plays the guitar beautifully. My husband and I played it repeatedly on a drive in the countryside. “Where did your love of music come from?” I asked Lavinia later. I grew up hearing everything, from the Appalachian mountain and assorted older folk music that my parents enjoyed to the current folk and rock & roll from the 60s and 70s that my brothers were listening to. I would sit on the swings and sing & swing away when I was very young. I remember when I was about 5 or 6 years old trying to mimic the sound of the trumpet in “Trumpeter’s Prayer” by making air buzz through my teeth. I can’t remember how to do that now. I simply enjoy creating, and expressing it. It is part of me. Lavinia has performed at various events, garnering recognition along the way. Margaret promptly reported that comment back to me, and I was stunned. Children, especially the younger ones, are in general brutally honest. To me, this child’s comment is the most meaningful endorsement I have ever received on my music, and will be difficult for anyone to top. Rick and Lavinia, though coming from different musical genres, have also performed together. It’s helped their working relationship on their farm in Linn County, Oregon. I was exposed to the blues through listening to Rick, and had to learn to do a bit of that myself, as we often played for audiences who had come to hear him play blues and were not so interested in quiet folk music. I had to stretch myself. As for the farm, like the music we have some things we work on together, but still maintain our own departments for which we are mainly responsible.There is still give and take, different points of view, and some bickering, but most importantly now, the shared vision of making our farm a beautiful, productive and peaceful place in our retirement years. 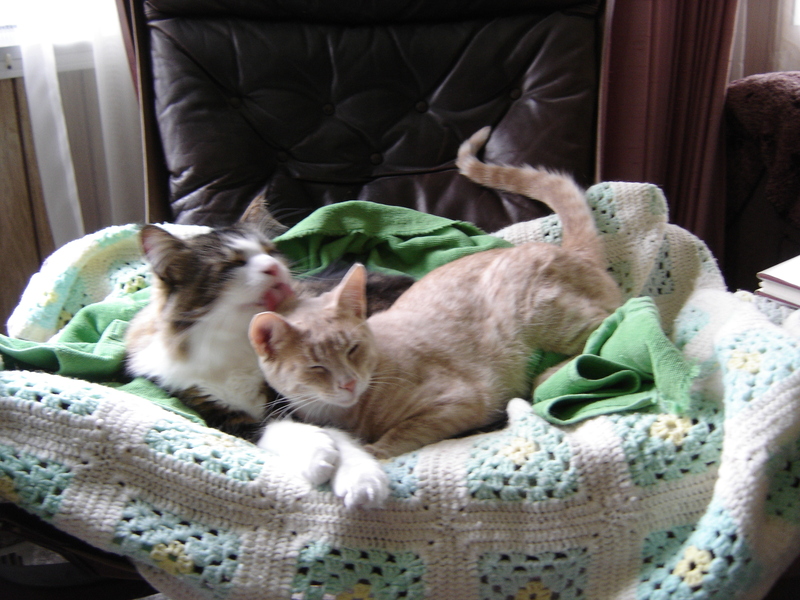 The cats are definitely characters in their own right, and are more like living with eccentric roommates than pets. Friends for a short time, remembered for a lifetime. Wise old souls and teachers, comforters in hard times, playful little elvish creatures who help us see the lighter side of life. They teach us how to be better people. Their lives, and all the memories they leave behind after they depart, are all woven into the fabric of our own, becoming part of the legends and history of this place we call home. Four years ago, their home life changed drastically. Earlier than planned, they became caregivers to Rick’s mother. A friend who took care of her elderly mother with Parkinson’s described her own experience as “the quicksand years”, and I understand now what she meant. We rebuilt the house to accommodate Gladys, and had to move twice in one year. Although we loved Gladys very much, the experience stretched our coping ability with her, ourselves and each other to the limit of what we were capable of handling, even with help from Hospice in the last 3 months and additional caregivers coming in to help. Physically and emotionally, it took a serious toll on my health, and I wanted little to do with anyone for some time after she died. I needed peace, quiet and downtime from responsibility, which can be difficult for friends and relatives to comprehend. We are not the same people we were previous to caring for Gladys. We survived the experience and I think have come out the better as individuals and as partners for it. Although I am taking a break from performing, I am still playing music for myself, working on songs as well as working on a collection of essays, pictures drawn in words of things I remember from my life. 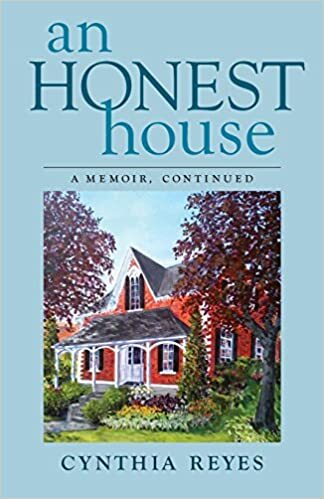 I am finding that reconnection to earlier parts of my life an enjoyable exploration. Writing is the thread that sews the remnants of life and soul together. Photos from Salmon Brook Farms Website. Previous postYou CAN go Home again! Lavinia’s blog is lovely. I am so pleased you featured her here. The ‘Quicksand Years’ is a perfect expression. We love our parents, we are glad to have them still with us, but the care-giving is an extraordinarily complex undertaking. I am sending lots of rest and calm to Lavinia. Gallivanta, wishing you all the best as you look after your own aging parents. It was through your own beautiful blog site that I learned of Cynthia. Thank you so much for helping to build this wonderful community to which we belong! When I first read this, I thought you meant had readers literally been to SBF! But now I’ve visited virtually and it looks beautiful. A dream many of us have, but only few manage to realise, so well done to Rick and Lavinia. And caring. Ay! It’s very, very draining. My parents did it and said they never wanted me to. However those were the words of healthy middle-aged people, not those of failing 70+-year-olds. If we can help our parents enjoy their last months/years with family rather than in a sterile home with strangers, then I think we should try. Although accepting it won’t be easy. I knew that some people would think that, and I meant to make a slight change and forgot! How I remember anything at all is a mystery. Well said about caring for aging parents. Thank you for visiting the farm! I agree that if it is at all possible to help our elders enjoy their last years at home, we should try. A support structure of family, friends and social services is critical, though, and can be difficult to assemble. Often times one doesn’t know exactly what they need until they are deep into the process, and by then they are drowning. Folk music and lots of cats–my kind of world! Thanks for the tip about Lavinia’s blog, Cynthia! Thank you so much for visiting the farm KerryCan, and for your follow! Thank you for introducing us to Rick and Lavinia, Cynthia. They sound like wonderful people. I’m stunned that their Subaru, Seabisquit, has nearly 435, 000 miles. They should do a commercial for Subaru! Thank you, Jill! I have asked the dealership here what sort of mileage they see on Subarus coming in for maintenance. I was told 500,000+ miles in not uncommon. I came across a site for high mileage Subarus. I am hopeful our Seabisquit will make it to 500,000! That’s amazing, Lavinia! I hope my Honda makes it that long. Right now it’s at 95K. Thanks for the link! Thank you, Still A Dreamer! I saw the black cat on your web site. Looks so much like our old Mr. Beaucastel. We miss him very much. Thank you for visiting and the very kind comments! We enjoy our life out here in the beautiful Pacific northwest. Thank you! Thanks for this post and the introduction to Lavinia’s blog. What wonderful music and what a lovely home she and her husband have made. Thank you for visiting and the very kind comments! I am glad you enjoyed it! You had me at the cats :). I can’t believe the mileage on the Subaru. I thought my car at 75K was a high mileage lol! Yes, I’d like to think mine can last…. Thanks for telling us about Rick and Lavinia and their farm. I’ll be checking out her blog. Thank you for visiting, Arlingwoman! I loved the tollbooth story and song. Your farm sounds busy, inviting, and beautiful. A beautiful post, Cynthia and Lavinia. I love the final quote: “Writing is the thread that sews the remnants of life and soul together.” Wonderful. Thank you for visiting, Wendy! Thank you for visiting, Aquileana! The cats are amazing creatures. This is such a wonderful visit and interview! Two of my most favourite bloggers wrapped up in one lovely parcel! There – I got my reply in the correct place this time ! I learned of you and Cynthia through Gallivanta’s beautiful blog. Such a wonderful community of people we have! I feel privileged to be a part of it. Hi Julie, thank you for visiting! What wonderful sounding people. The phrase ‘the quicksand years’ is so apt, it will stay with me. They are remarkable people, Kate. Well said! And I’m glad you enjoyed the photos and the interview too. Thank you for visiting and the kind comments! Yes, they are a beautiful group of kitties. We love them very much. Love this post and as someone else who is in the quicksand years, 10 so far, I wish you peace. I loved the cats too especially the look of utter bliss on the face of the ginger one who is half grooming, half using as a pillow the tortoishell (I think you guys call it calico?) cat on a windowsill. Thank you for visiting! My heart goes out to you, who are in your own caregiving situation, and also wish you peace. Thank you for this interview with Lavinia. I’ve learned things here that I did not know and might otherwise not have known. I really enjoyed reading your interview. Thank you very much for visiting and reading the interview, Susan. My best to you. A lovely interview, Cynthia. You could not have chosen a more charming subject. Hugs all around. Great to “see” you, Teagan. You’re right – This family is indeed charming. Thank you for visiting, Teagan! This is a very special, caring community of people we belong to. 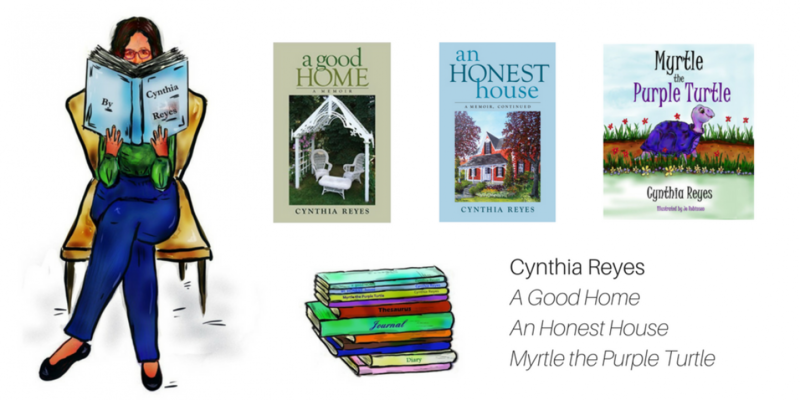 I learned of Cynthia’s blog site through Gallivanta, and am very grateful to have come to know this remarkable author through her books “A Good Home” and “An Honest House” in addition to her posts. 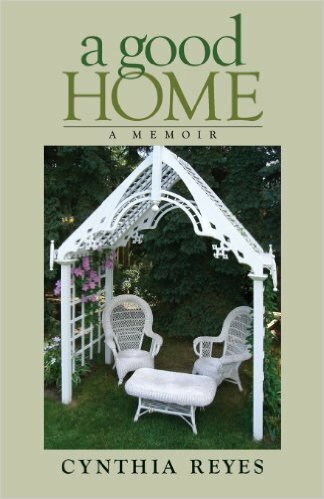 I’ve followed Lavinia’s blog for a while and always admired her writing and chosen lifestyle. I got to ‘know her’ better through your posting though – a lovely insightful, honest piece. Well said! Thank you, and I’m wishing you a good week. Sad to say he’s not been seen since – maybe he found someplace nice to settle?